The Sennheiser SC660 Corded Headset aka 'The Century' is Sennheiser's premium ultra noise cancelling binaural headset, designed to be used with your desk phone, smart phone, or computer (each requires the correct connector cable). The SC660 headset has an over the head wearing style, with rotatable microphone for left or right hand side wear. The speakers are made from high quality neodymium so you can hear every utterance. It's 'wideband' so if you and your caller are on IP phones you won't get that flat tinny quality to the voice - the 660 enhances the voice to sound entirely natural. 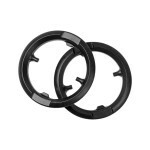 These earcups fold flat for storage or travel. 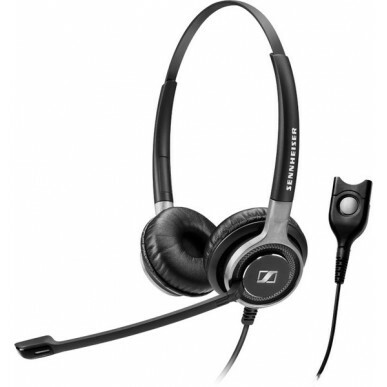 The Sennheiser SC 660 is for staff who want the best quality sound on the market and prefer a corded headset. There are also padded headbands available in the CC 515 IP & CC 550 IP. If you don’t need the ultra cancelling microphone or every bell & whistle, the SC 230 & SC 260 are both excellent headsets. Sennheiser SC 660 is a premium binaural wired headset for quality-conscious contact center and office professionals requiring outstanding sound performance. Sound leadership With Sennheiser HD voice clarity and ultra-noise cancelling microphone, SC 660 optimizes speech intelligibility in noisy contact center and office environments. Quality design With a focus on quality materials and durability, SC 660 is built to withstand heavy contact center usage. Stainless steel and brushed aluminum parts with a unibody headband construction create an iconic, high-end design that enhances strength and robustness. 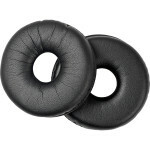 User focus Sound enhancement features make conversations crisp and clear, and a leatherette ear-pad ensures powerful sound and wearing comfort. A metal reinforced headband maintains a perfect fit and is numbered for easy accurate adjustment. With Sennheiser ActiveGard® for acoustic shock protection, SC 660 is designed to enable quality-conscious professionals to perform at their best, whatever the environment. Before we purchased this product we spoke with a Simply Headsets team member about the different products available to suit our application, they were very helpful in narrowing down to this product. Overall we were really happy with the headset, good quality, great audio, light weight and comfortable for wearing for long periods of time. Tho only thing we found was that the mic stem wasn't very flexible. Overall really happy with the product and the service.